Home > Resources > Transfer > How to Copy Contacts to Google Nexus 4/5/6 from Android, iPhone, Nokia? The Nexus series totally have six generations in the market. Each year, Google company releases a Nexus phone to assert their vision of trends in the market in the next year. This year the Nexus 6 clearly represents the Google's focus for giant screens and high quality. Nexus 6 just like an amplified Moto X. But there is a major difference between the two devices that the design of the back covers are different. The front of Nexus 6 is equipped with a pair of stereo speakers and this is another promotion compared with Moto X. Just got a new Nexus 6 and be urgent to move all the contacts from your old mobile phone, no matter iPhone, Android phone or Nokia, to the new device so that you can call your friends to share your happiness (Note: For now, Nokia is not supported to be imported from Nexus but it will be able to be transferable soon.). 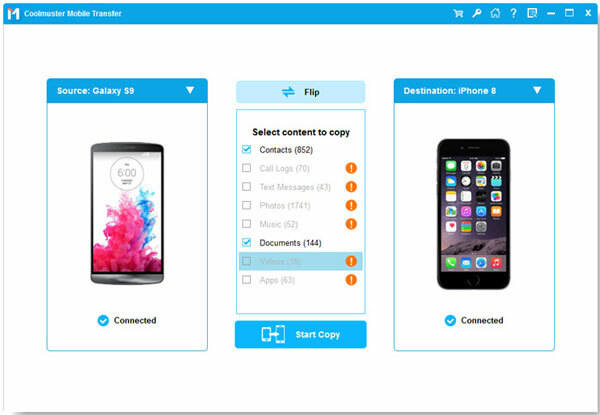 Actually it is not a big deal to perform the contacts transfer to Nexus with the help of Coolmuster Mobile Transfer, which is specially designed for you to transfer contacts, as well as SMS, photos, call list, videos, music, photos, etc. from a Nokia phone, an Android phone (Samsung, HTC, LG, Sony, Motorola, Windows phone, etc.) or even iPhone, iPad, iPod to Google Nexus 6/5/4 in 1 click. 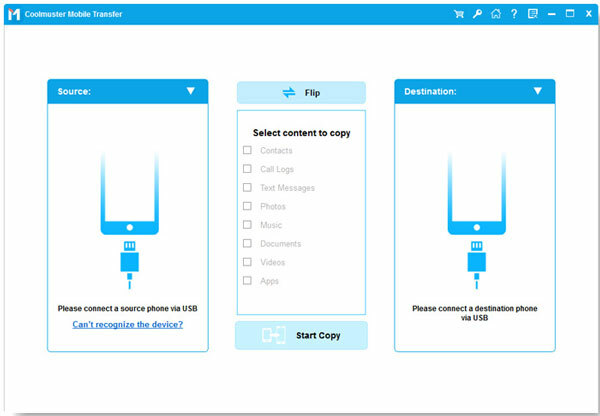 Download the free trial version of the Phone Transfer on your computer and start to transfer contacts from any phone to Google Nexus 6 by using this program. What you need is two USB cables to connect the two phones to your computer. Run the Phone Transfer software and use two USB cables to connect your Google Nexus 6 and the other phone to the computer simultaneously. The software will detect them automatically and then show them in the primary window. Since the Phone Transfer is able to transfer not only contacts, but also text messages, photos, videos, music, apps and call logs from phone to phone, you need to just keep "Contacts" checked and then click "Start Transfer" button to begin the contacts transferring from any phone to Nexus 6. Tips: Please note you should install iTunes on your computer beforehand if you need to transfer contacts from iPhone to Nexus 6.